New Year's Eve surprise, no champagne for me. Hi friends, checking in after finding out the craziest news ever. My New Years champagne toast was put on hold when me and Gabe found out we're preggo! We we're not planning or expecting this in any way shape or form. I'm a big advocate for free birth control for all women and stand with planned parenthood. Sometimes things are unexpected and meant to be. When the shock wore off we were able to transition into a stage of bliss and excitement. We're going to be parents?! It brings serious joy to my heart to think about all the great things were going to get to do with our kid. We both love to travel and dream of creating a little one exposed to different cultures and lives. This kid will have more stamps on its passport than most adults by the time he/she is 5. Stay tuned! I've been trying to stay super green, holistic and healthy during these beginning few months but it's been really difficult. I find myself craving things I never really ate before like pan dulce, Pickles, whole Lemons with saladitos, Mexican candy,every and all things Mexican! Am I allowed fried fish tacos? I am currently revolted by the thought of vegetables and been trying to sneak them in wherever I can. Green smoothie for life. Sure. But even these are getting old. Took a trip to Herraderos Market and literally saw the baker taking the pan dulce out of the oven and rolling it in sugar and coconut. 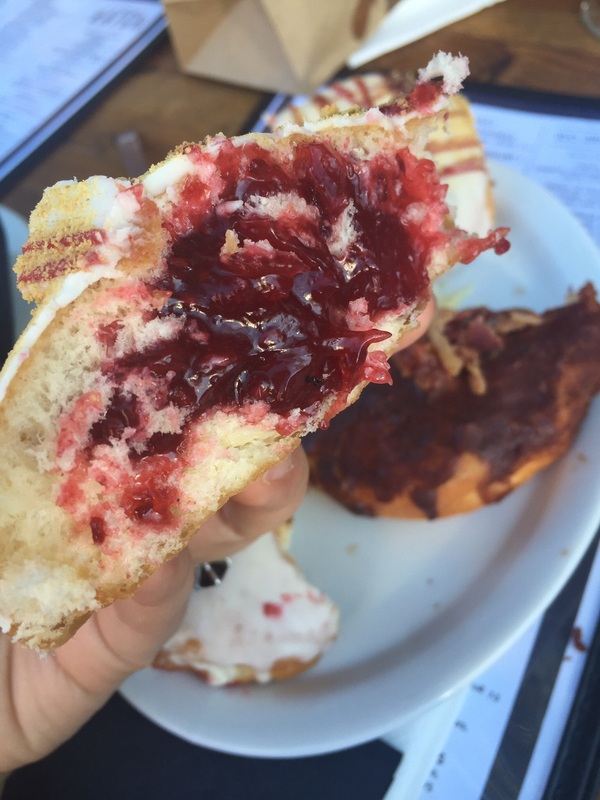 It was soft, it was sweet, it was warm, it was worth it. 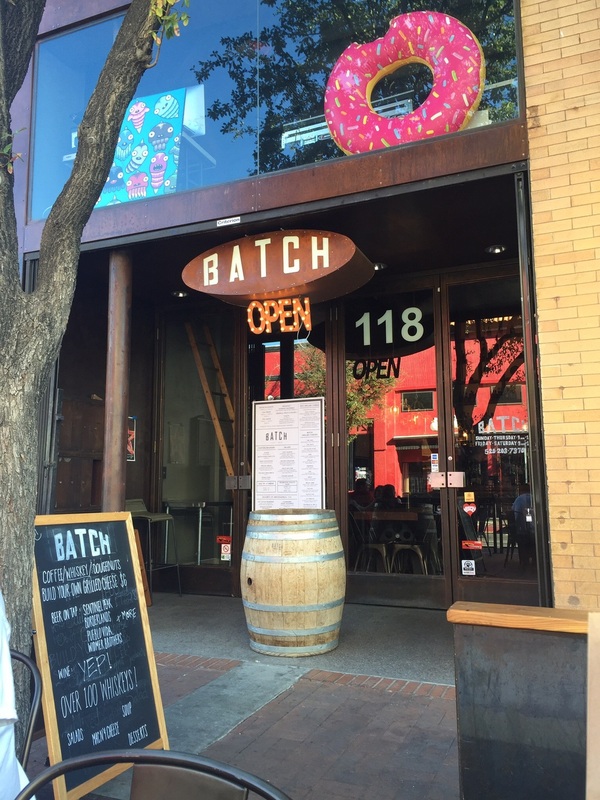 Spent another sweet afternoon at Batch, a donuts and whiskey shop. No whiskey for me, only Key Lime donuts and Mac and cheese. The boyfriend has been eating like pregnant woman himself. We've heard men get cravings, but lately have experienced it first hand. Fascinating. Let's everyone get fat together. Other than the cravings, pregnancy life has been pretty smooth for me.The level of exhaustion is real. Apperently when your body is growing another person, the life is sucked out of you. The body takes the first 13 weeks to build the placenta and this takes any and all energy out of your body. The energy is returning slowly and smoothly. I've stopped reading "What to expect when you're expecting" because frankly, it freaked me out. It's a giant list of things you can't do and what can happen if you do. No thanks. Let's wing it.